The World Cup is back! 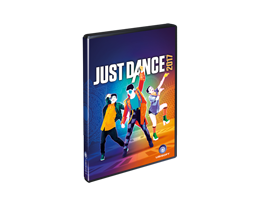 Compete on the brand new Just Dance 2017 Game! Search by song name, artist name and user! © 2014 Ubisoft Entertainment. All Rights Reserved. Just Dance, Uplay, the Uplay logo, Ubisoft, and the Ubisoft logo are trademarks of Ubisoft Entertainment in the US and/or other countries. “PlayStation” and the “PS” Family logo are registered trademarks of Sony Computer Entertainment America Inc. Nintendo trademarks and copyrights are properties of Nintendo.